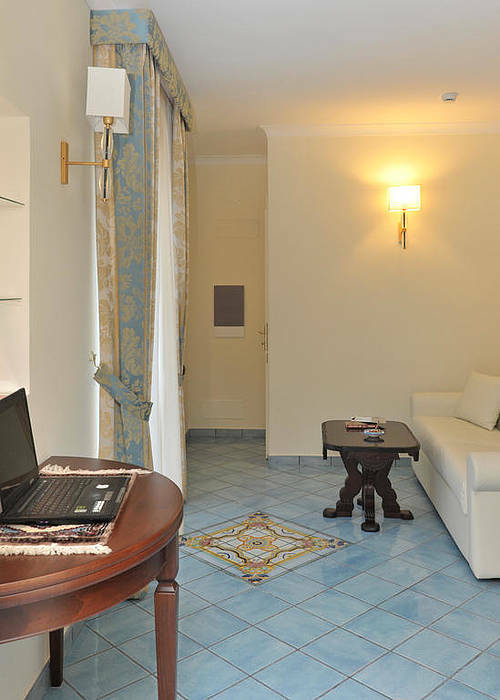 All rooms are soundproofed and equipped with every modern comfort. 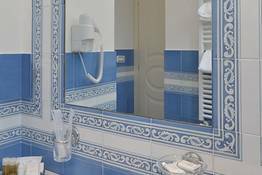 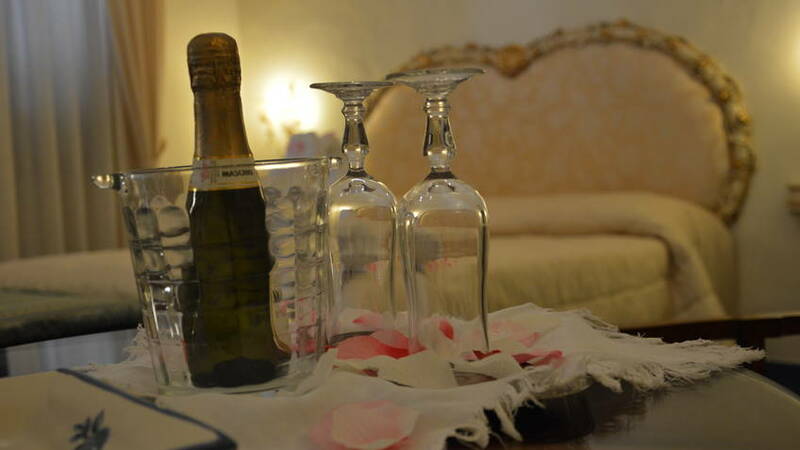 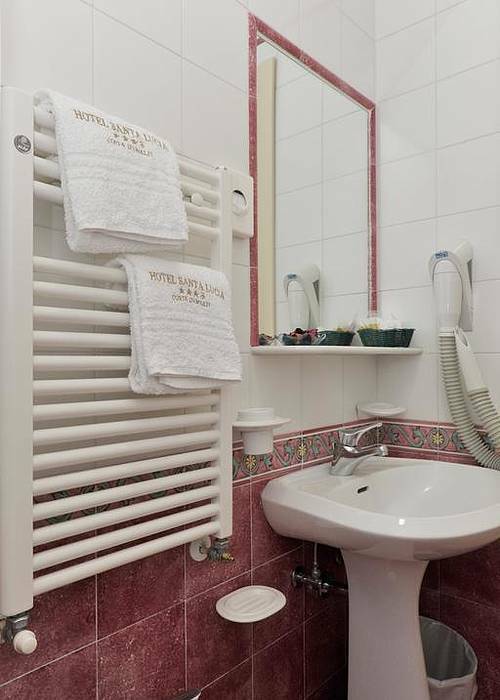 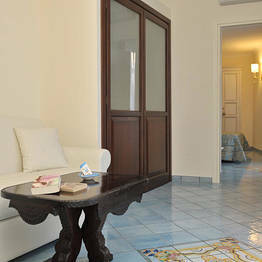 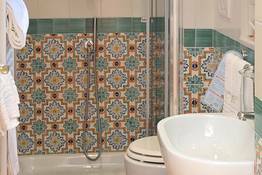 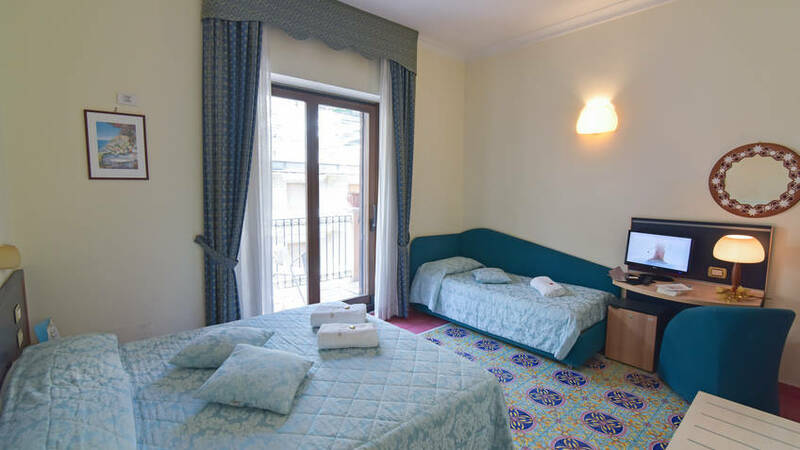 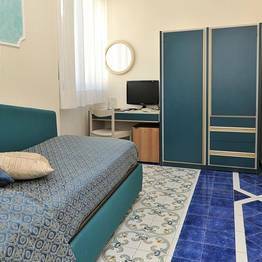 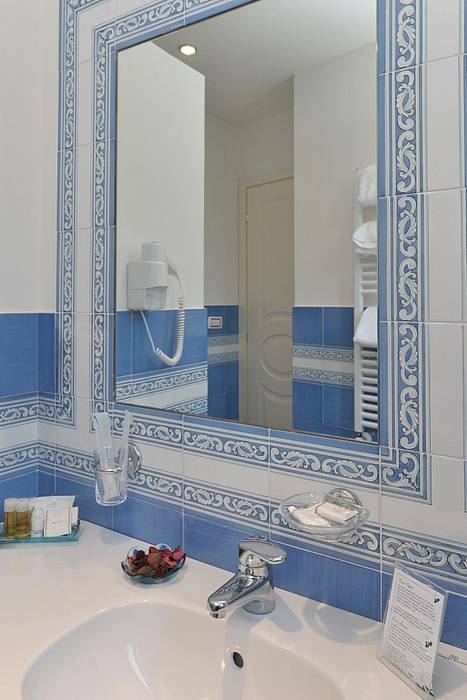 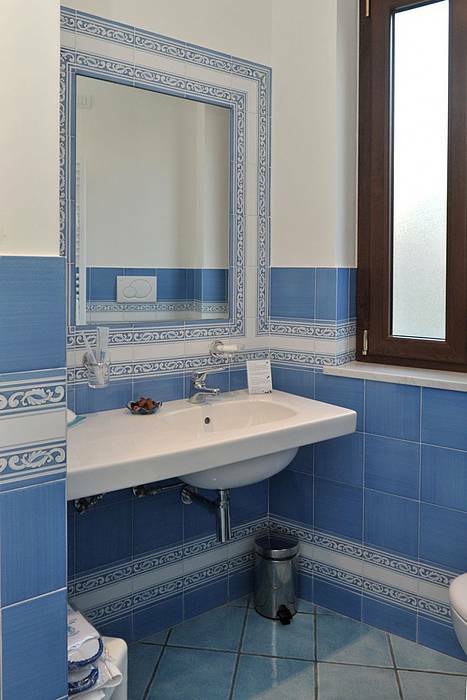 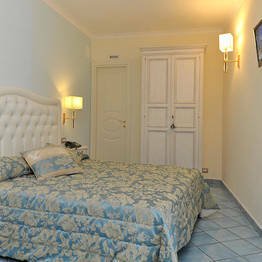 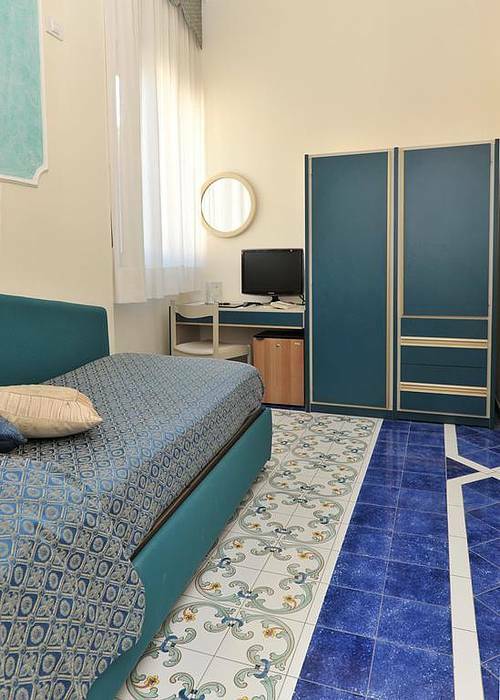 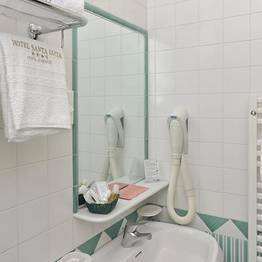 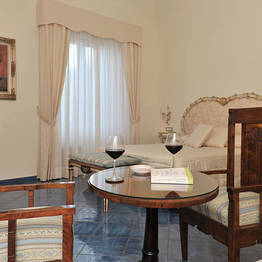 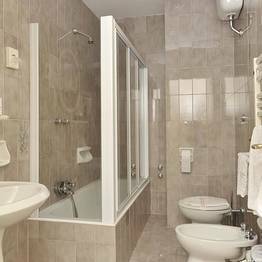 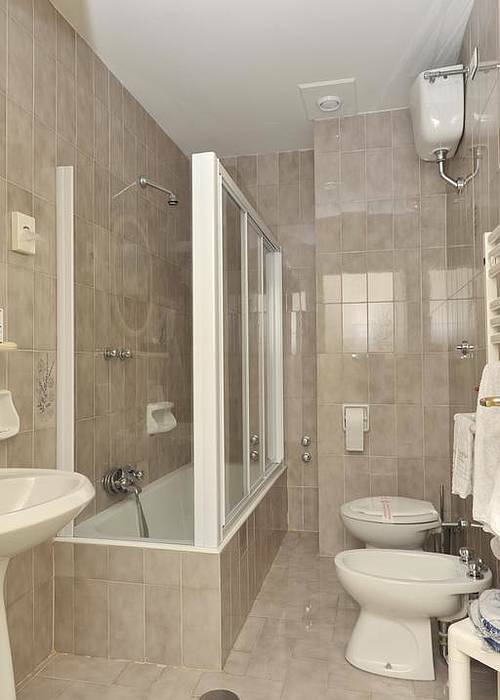 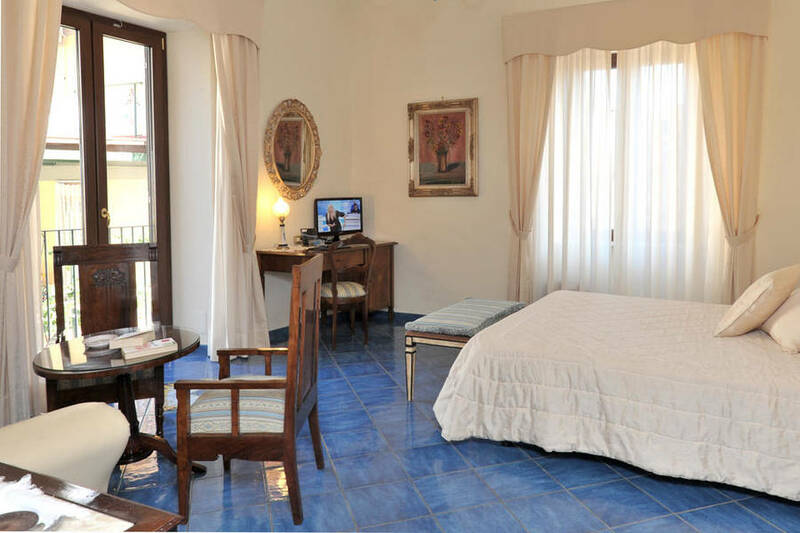 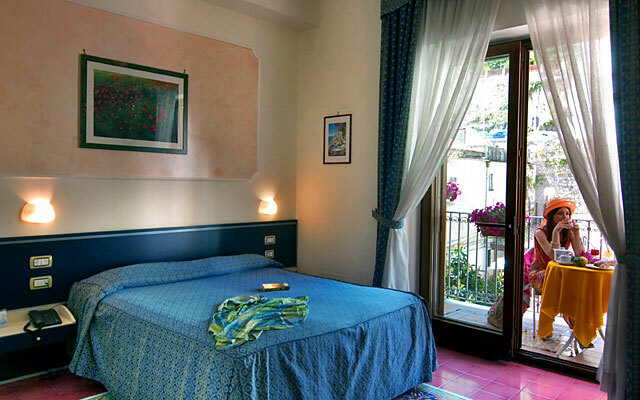 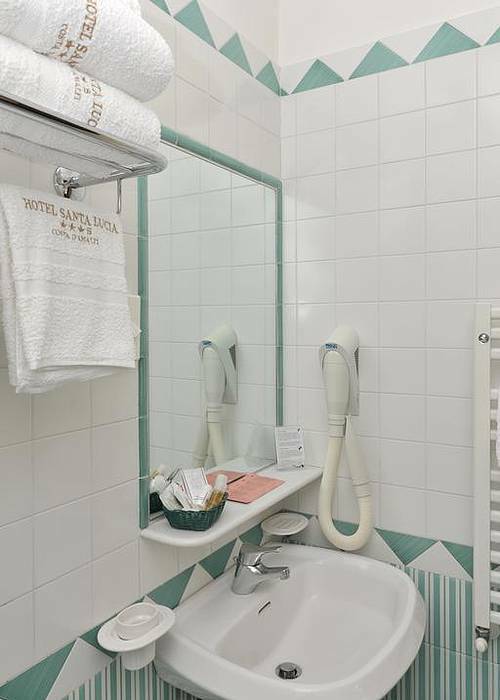 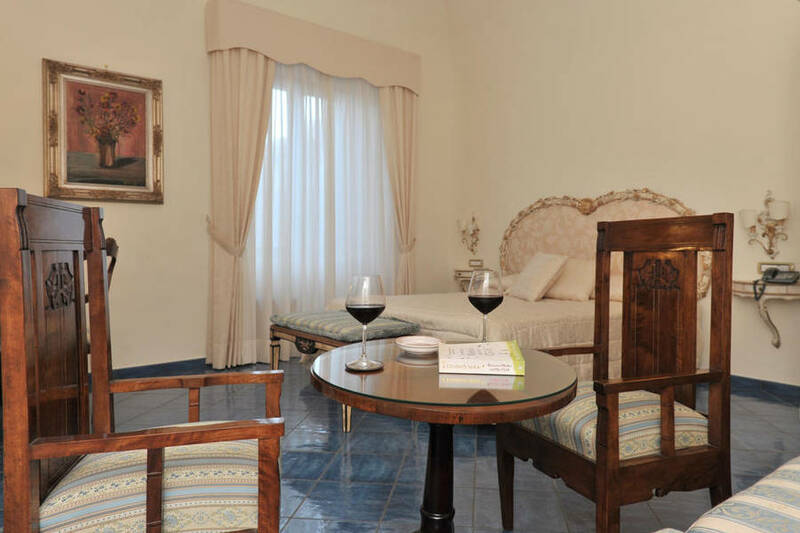 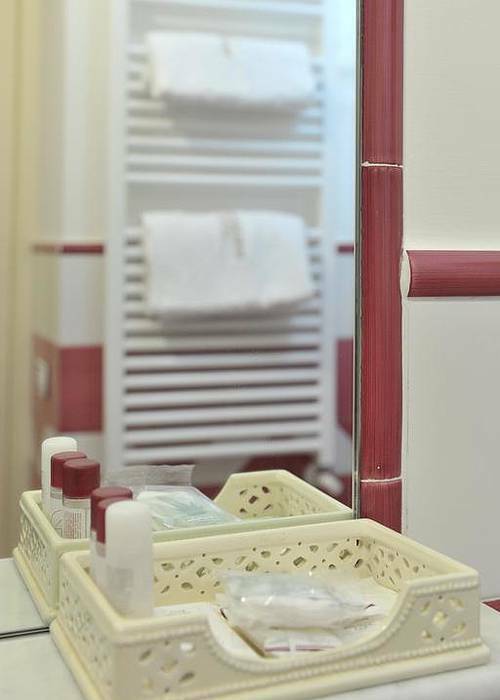 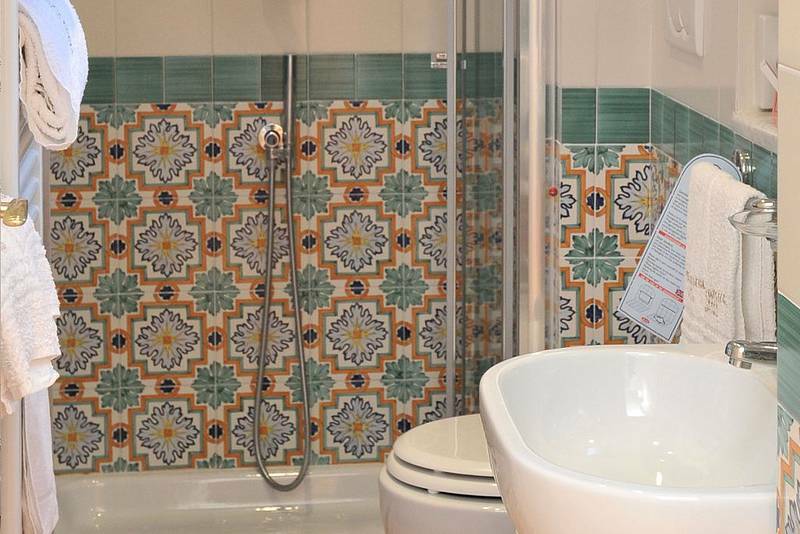 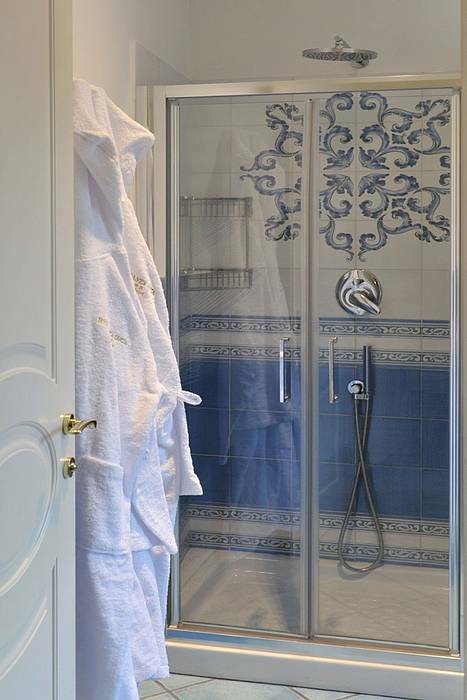 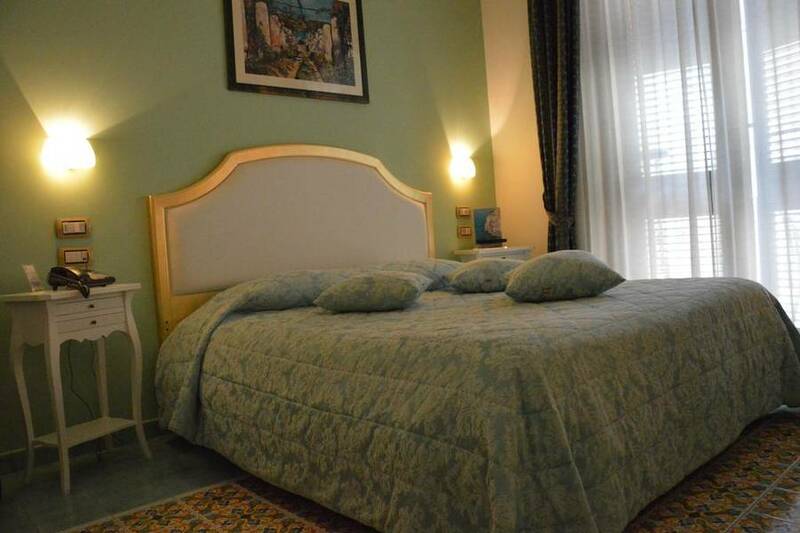 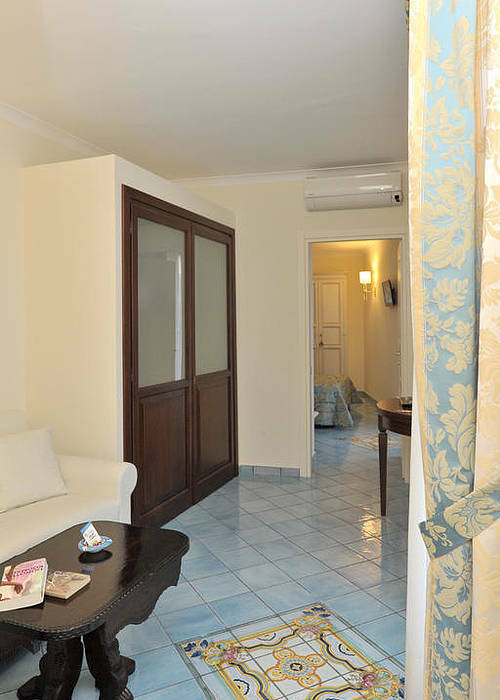 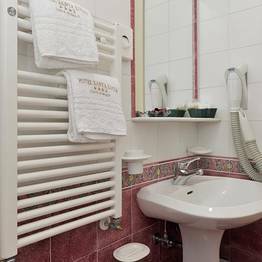 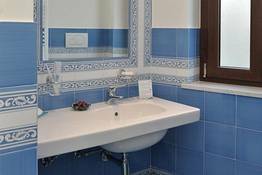 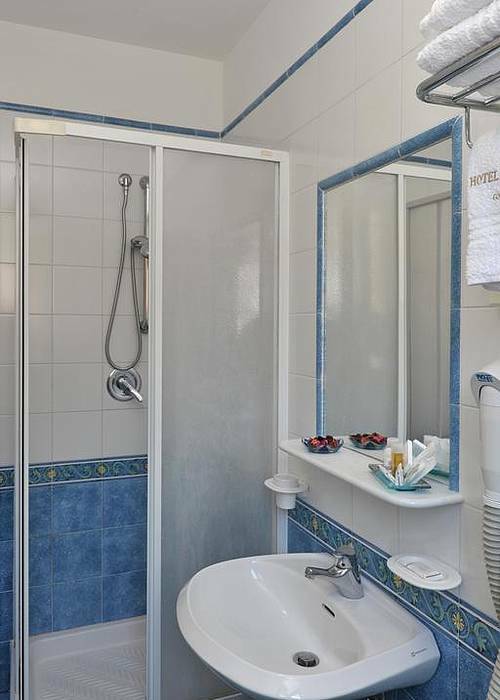 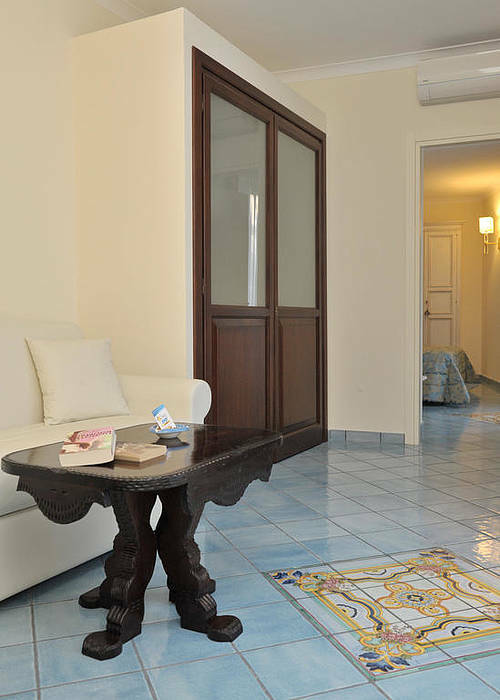 Our rooms are nicely furnished and floored with typical ceramic tiles. 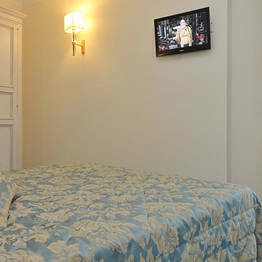 All rooms are soundproofed and equipped with every modern comfort . 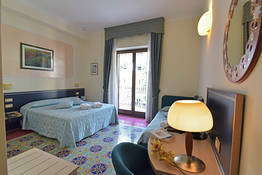 , air conditioning and taxes are included. 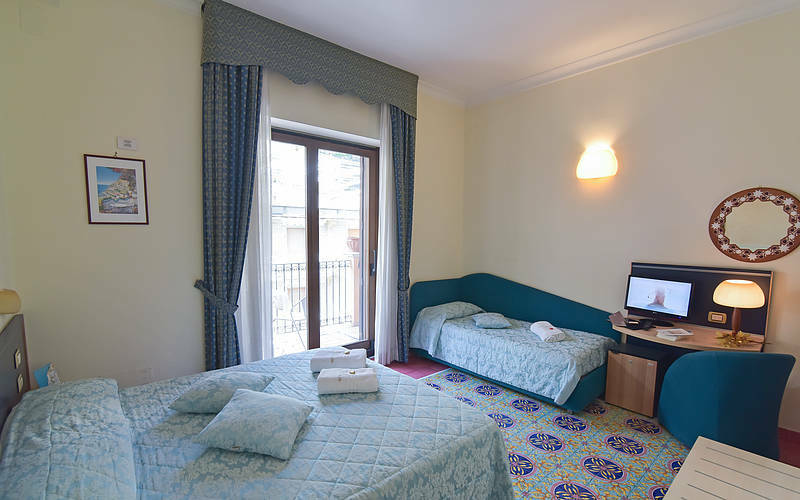 Room Facilities: Balcony or terrace, Safety Deposit Box, Air Conditioning, Desk, Heating, Wardrobe/Closet, Shower, Hairdryer, Free toiletries, Toilet, Bathroom, , TV LCD 22" , Satellite Channels ,SKY TY, Telephone, Radio, Flat-screen TV, Minibar, Wake Up Service/Alarm Clock ,WIFI. 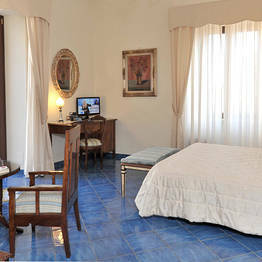 Our rooms are nicely furnished and floored with typical ceramic tiles. 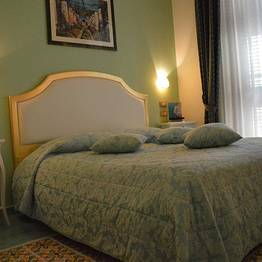 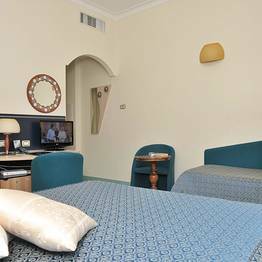 All rooms are soundproofed and equipped with every modern comfort.Buffet breakfast, air conditioning and taxes are included. 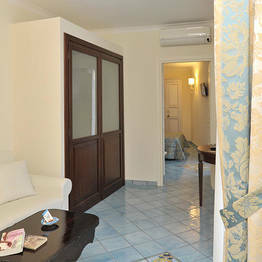 Our rooms are nicely furnished and floored with typical ceramic tiles. 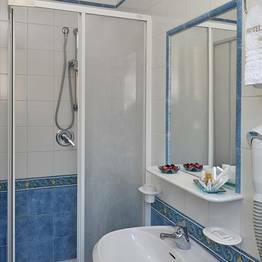 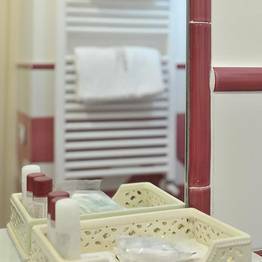 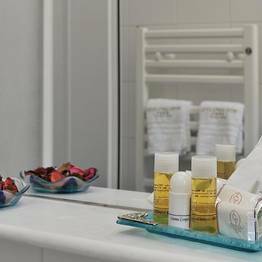 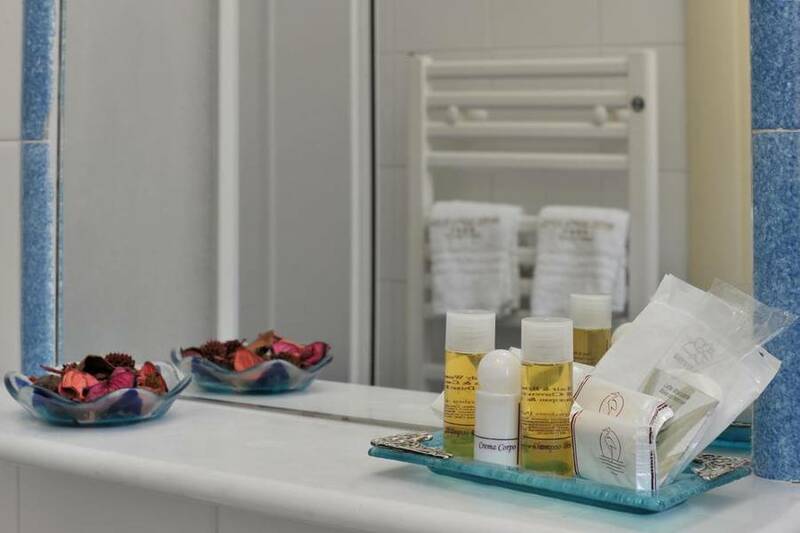 Room Facilities: Window , Safety Deposit Box, Air Conditioning, Desk, Heating, Wardrobe/Closet, Shower, Hairdryer, Free toiletries, Toilet, Bathroom, , TV LCD 22" , Satellite Channels , Telephone, Radio, Minibar, Wake Up Service/Alarm Clock ,WIFI. 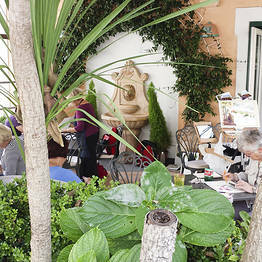 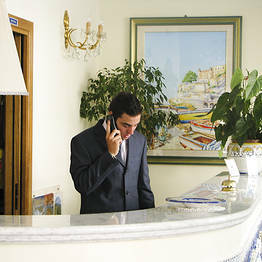 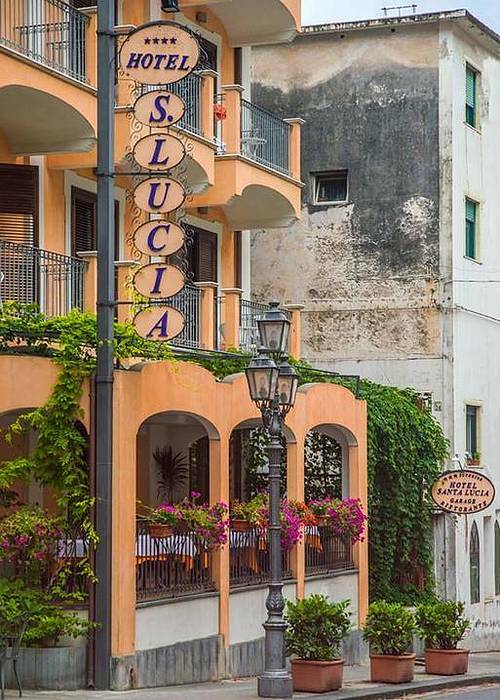 At Hotel Santa Lucia, hospitality is an art. 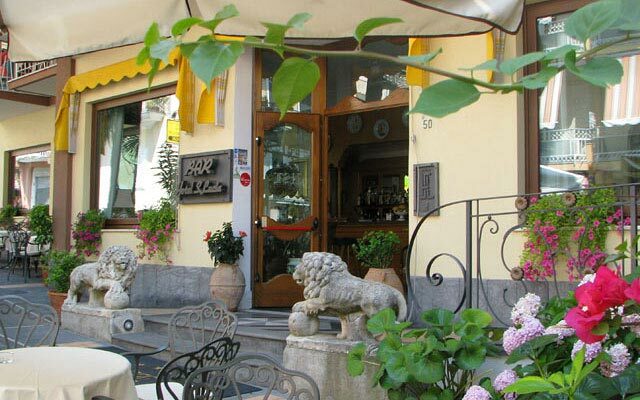 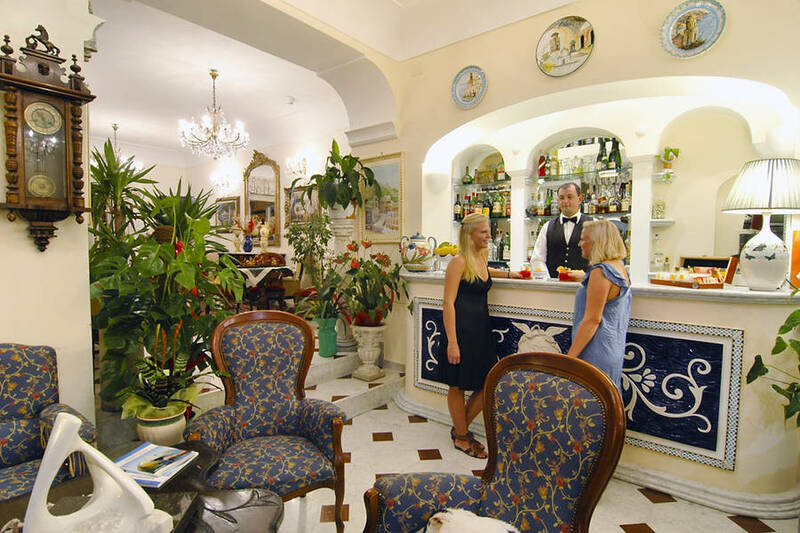 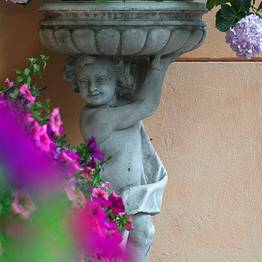 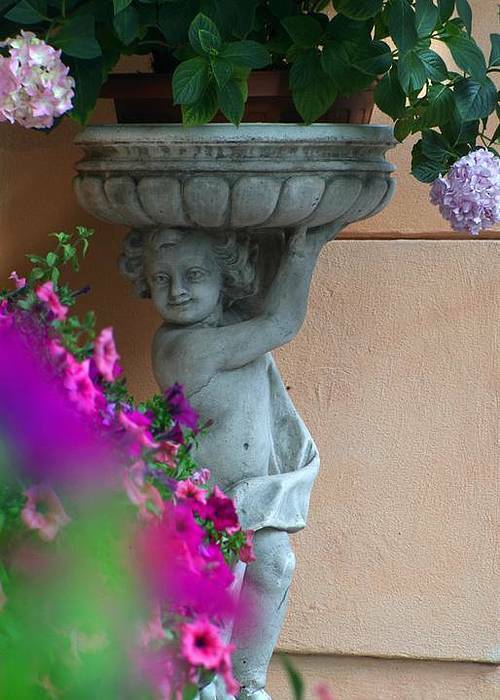 A fine art which the Sammarco family has been practicing for over 50 years; ever since the day they welcomed the first guests to their hotel in Minori, a tiny fishing village close to Ravello and Conca dei Marini, right in the heart of Italy's Amalfi Coast. 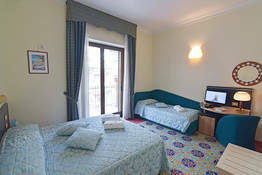 Hotel bedrooms are tastefully furnished, completely sound proofed, and filled with the sunlight pouring in through the large French windows, which, in some rooms, open out on to a pretty terrace furnished with table and chairs. 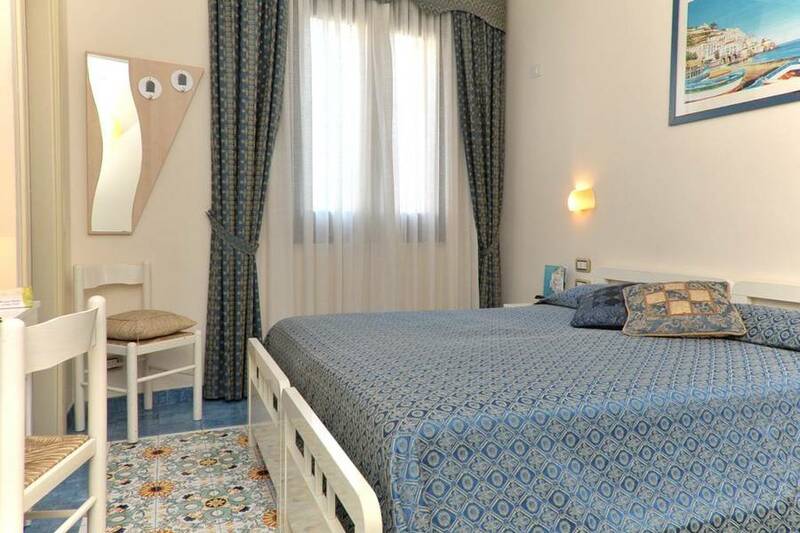 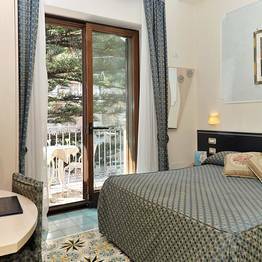 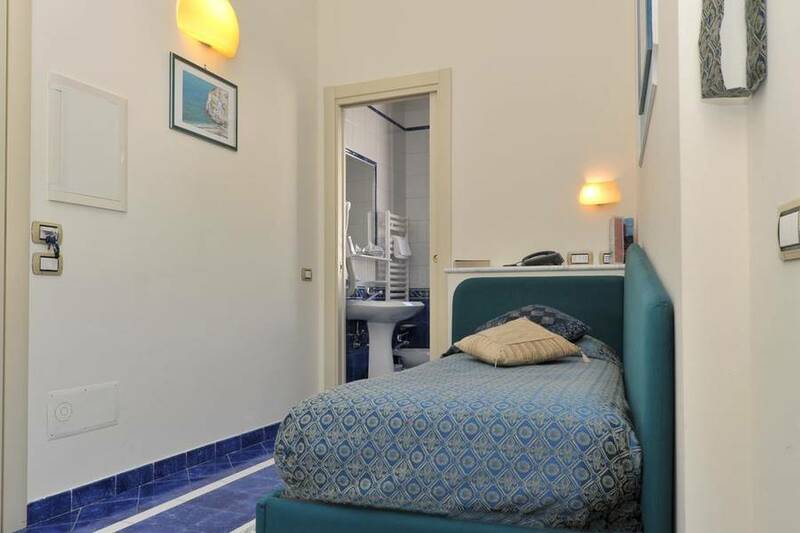 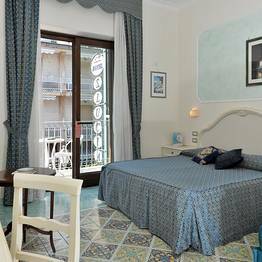 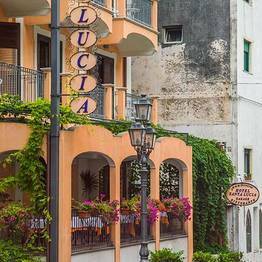 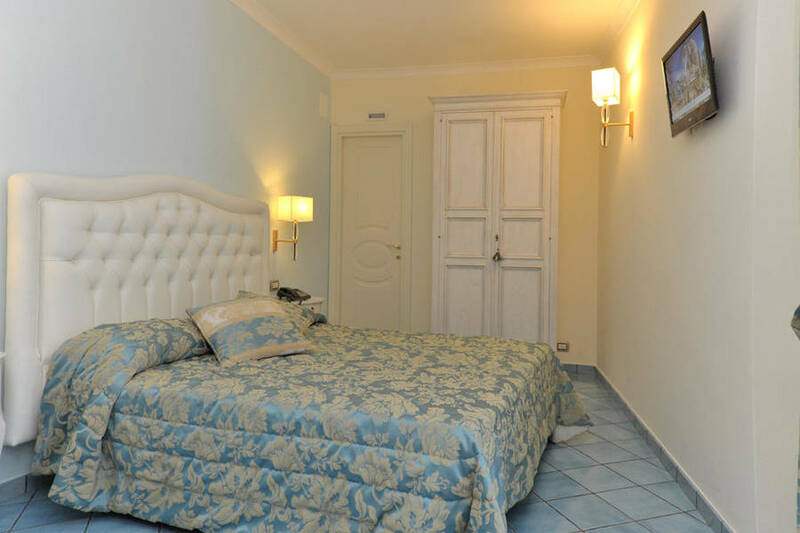 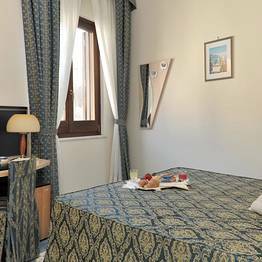 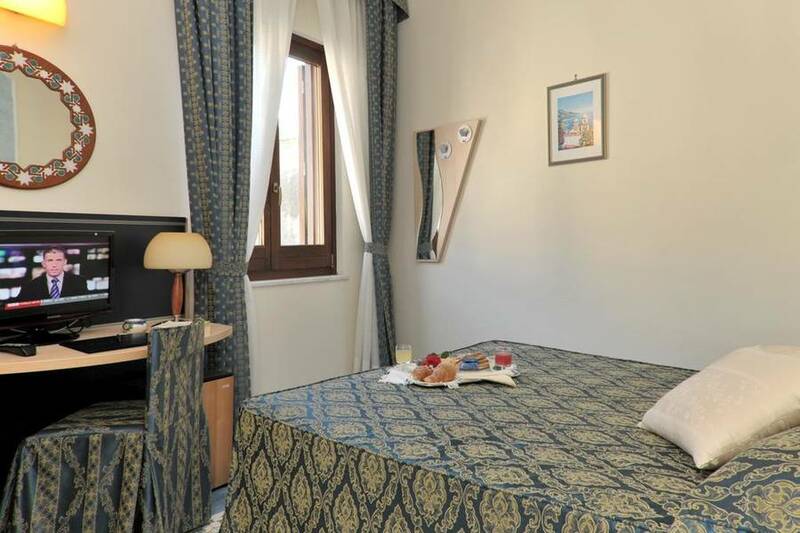 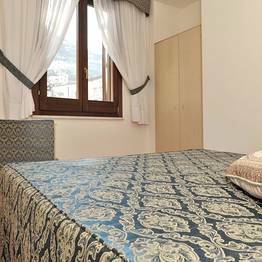 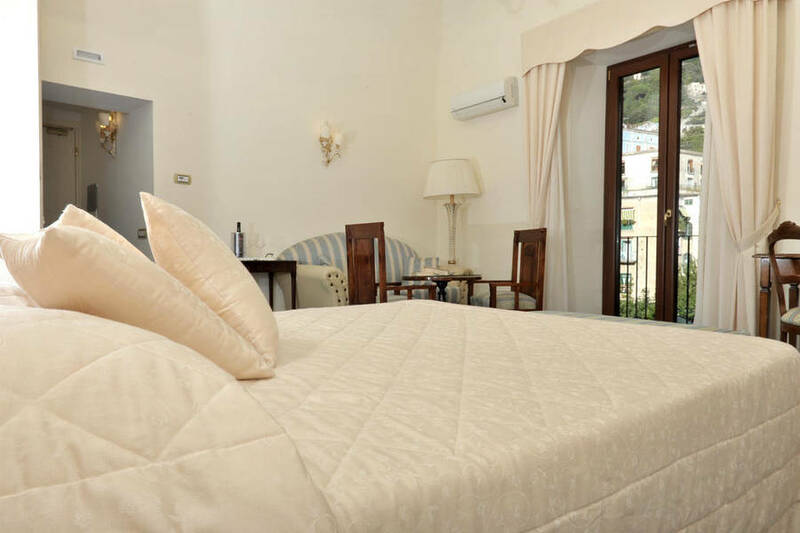 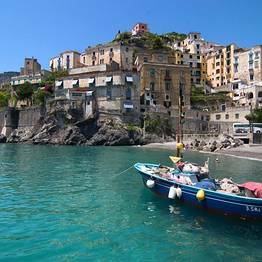 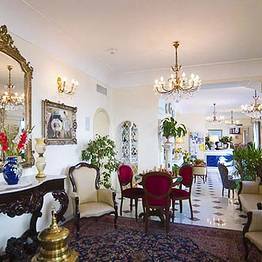 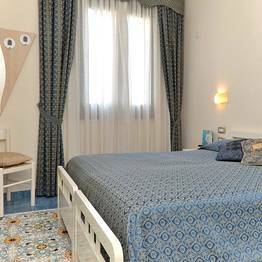 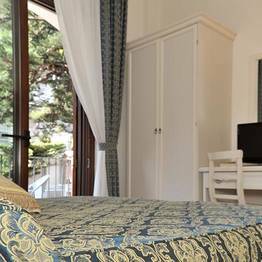 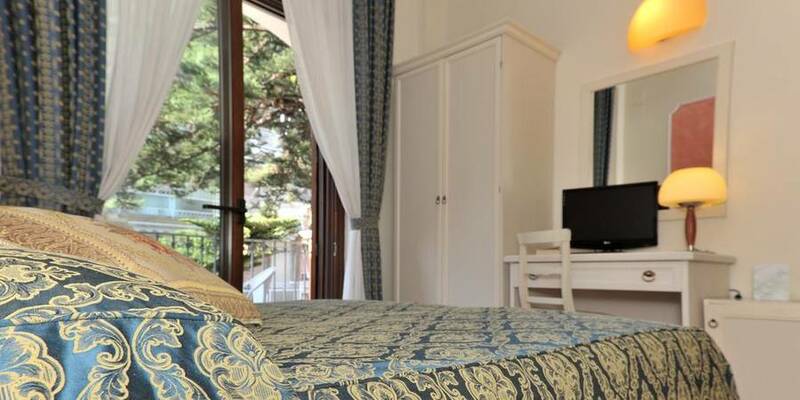 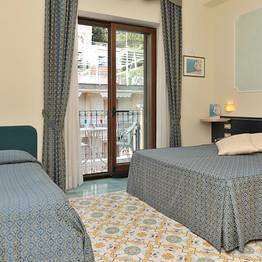 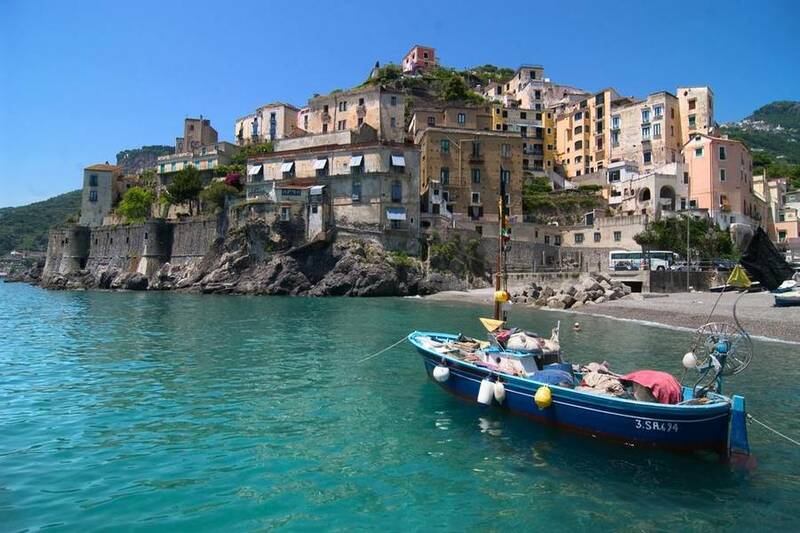 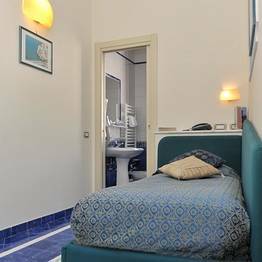 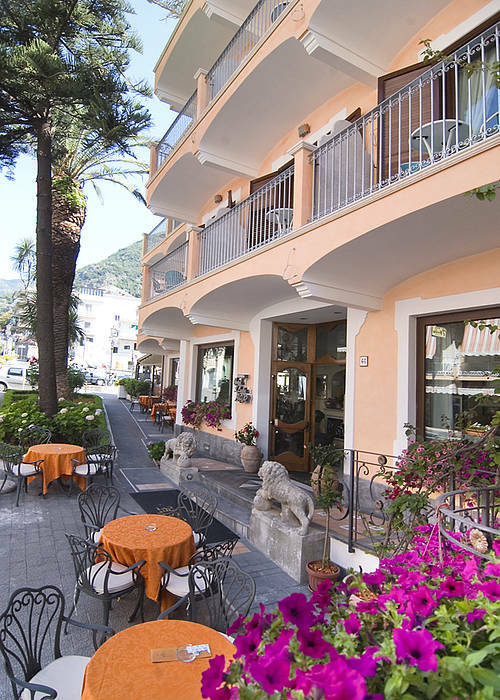 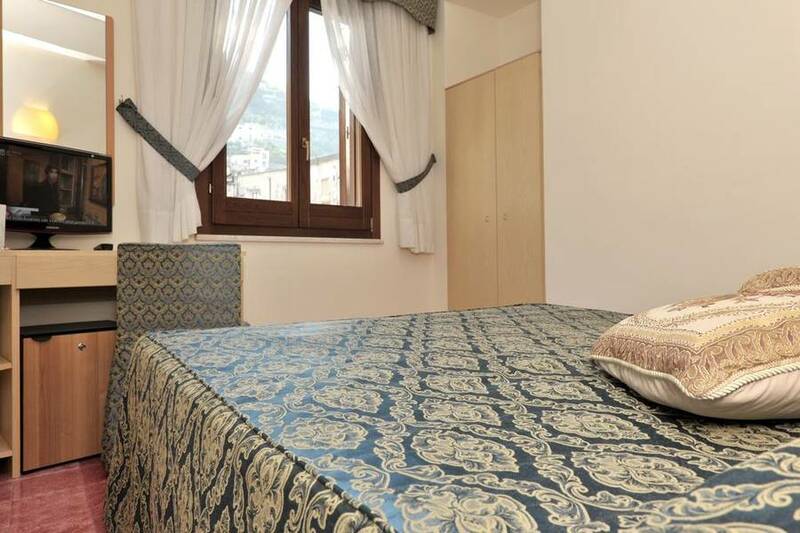 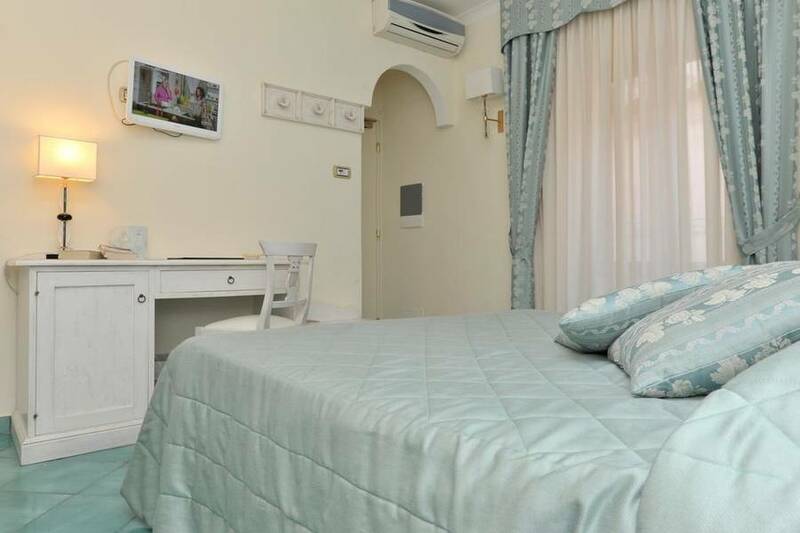 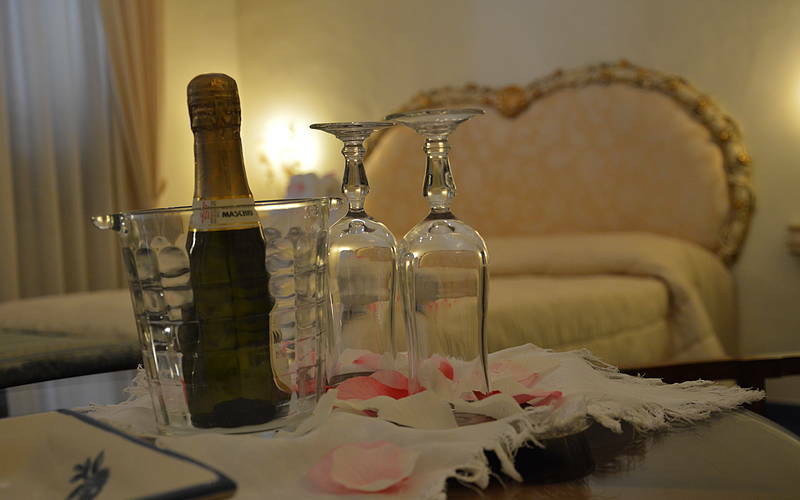 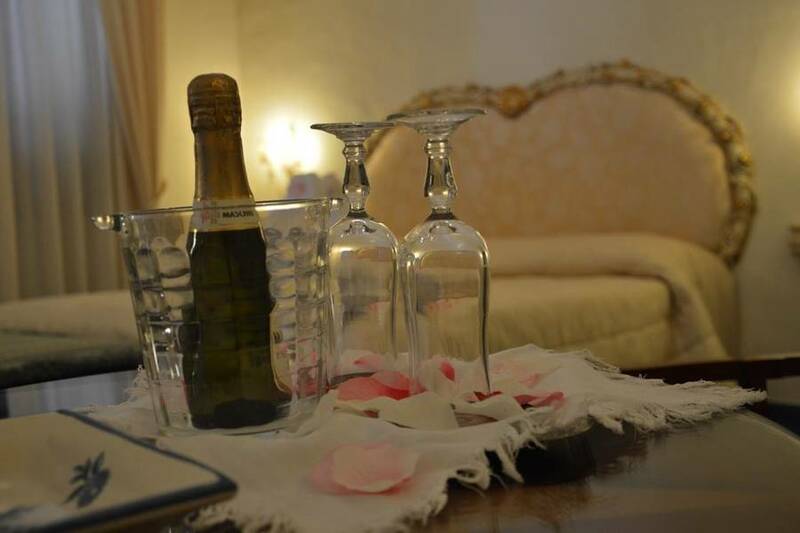 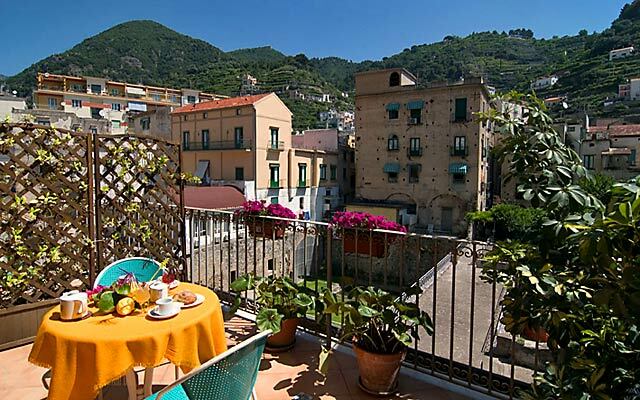 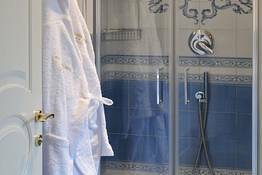 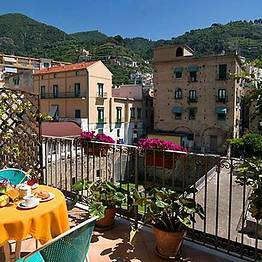 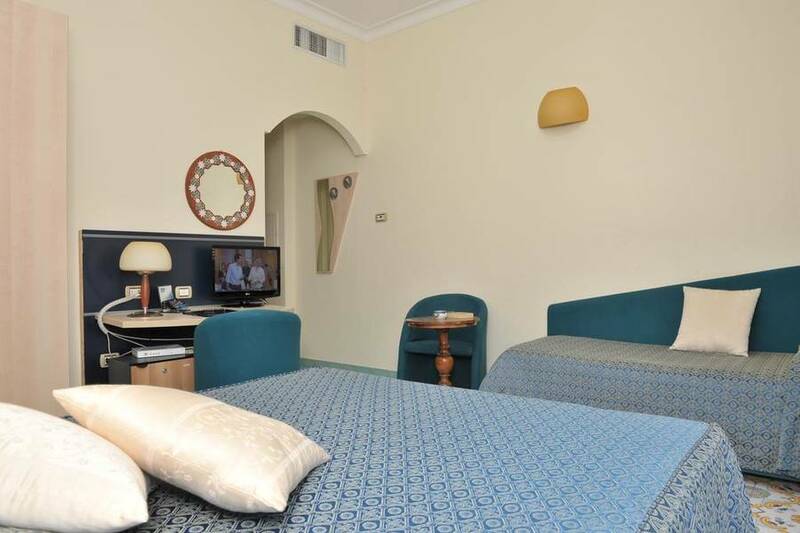 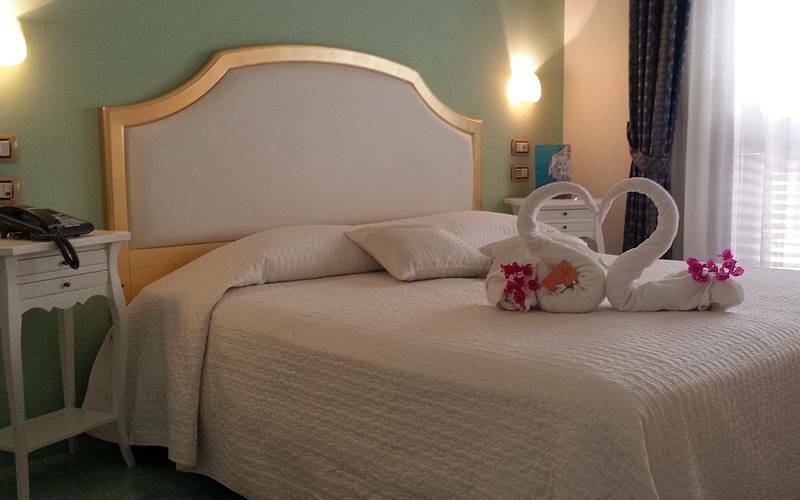 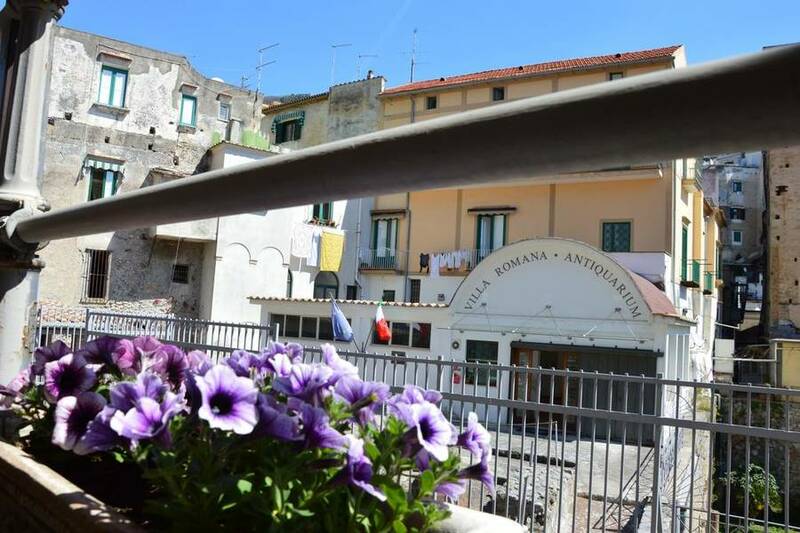 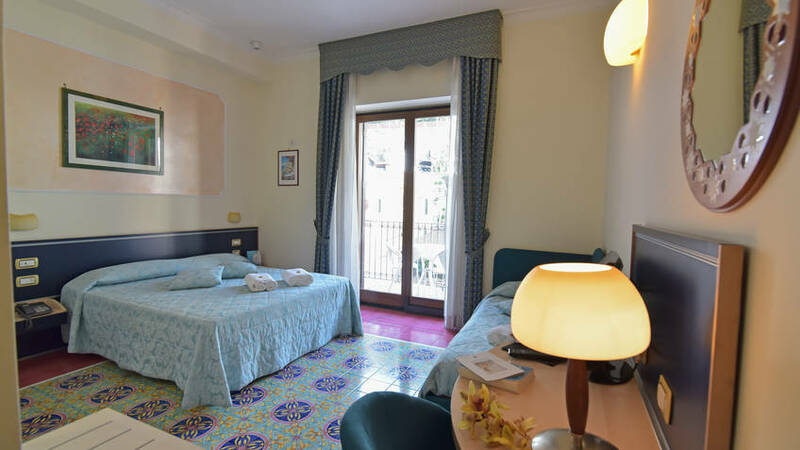 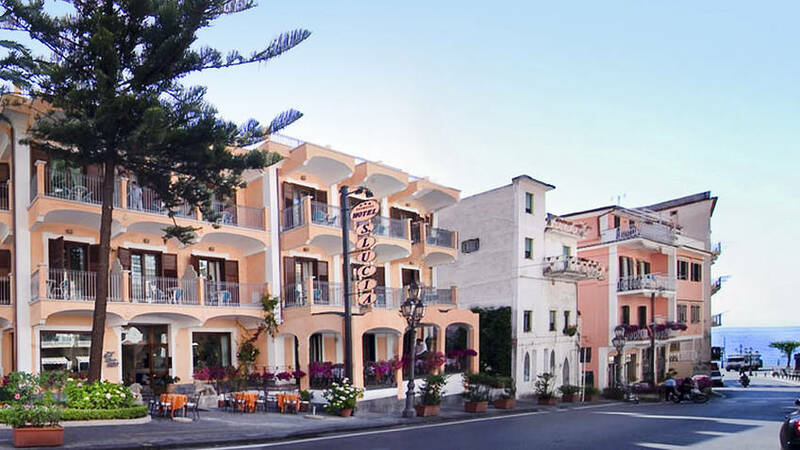 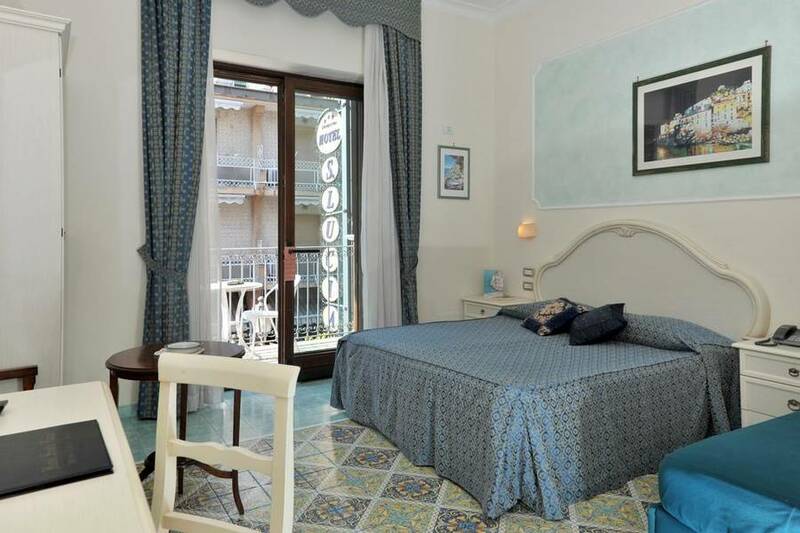 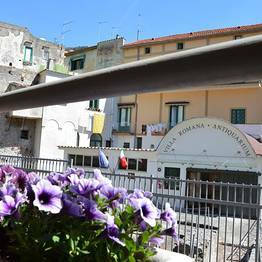 Holidaymakers who have always dreamed of staying in their very own home-from-home on the Amalfi Coast with love Hotel Santa Lucia's attractive self catering apartments, located in the hotel building or within steps of the sea. 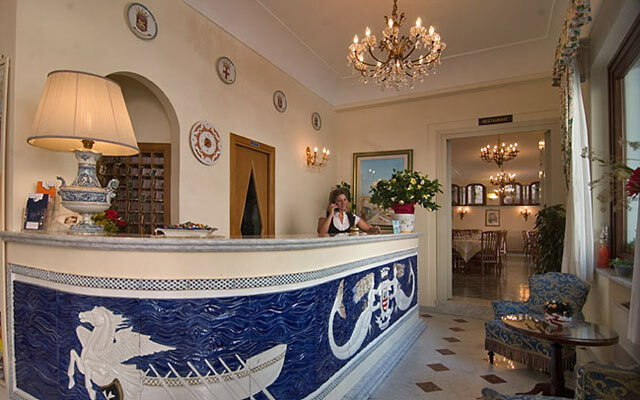 Guests eating in the hotel's highly acclaimed restaurant enjoy traditional local dishes, prepared using the area's abundant fish and seafood and deliciously sweet sun-ripened fruit and vegetables. 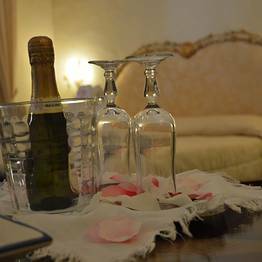 An excellent selection of wines, conserved in the hotel's Sammarco cellar ensures the perfect accompaniment to each and every meal. 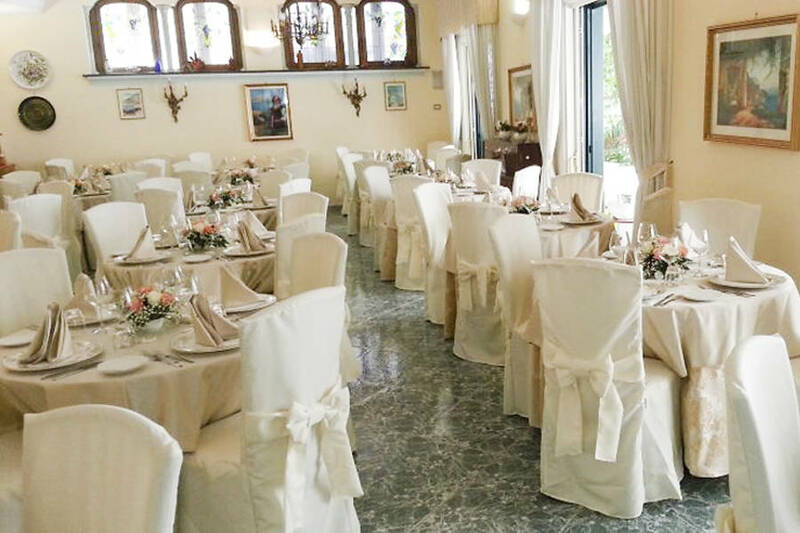 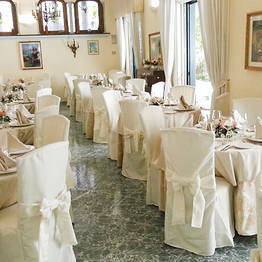 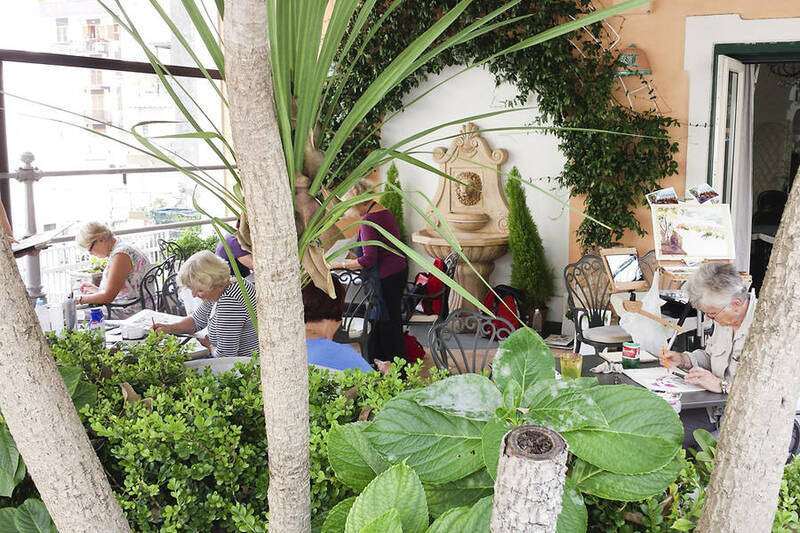 On request, the restaurant's elegant dining room and charming terrace provide the ideal venue for an unforgettable wedding reception or anniversary party. 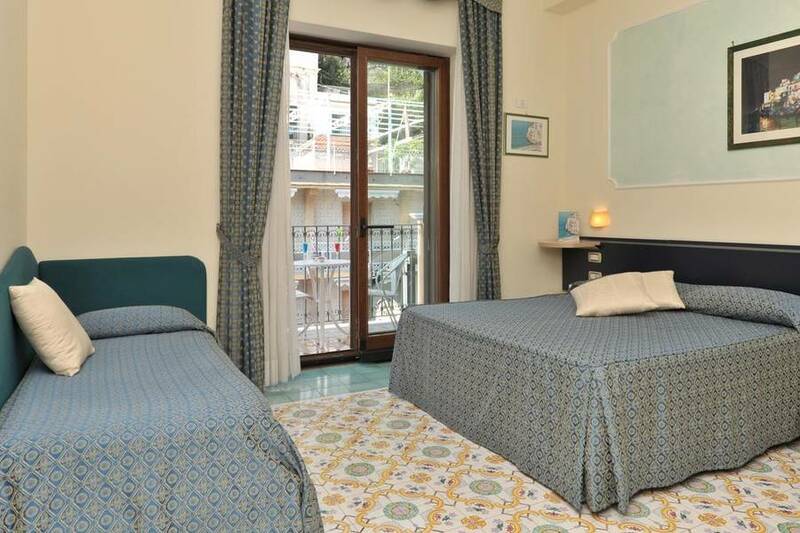 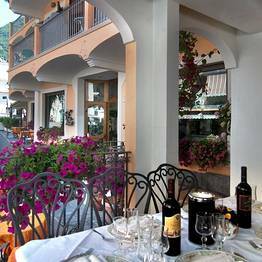 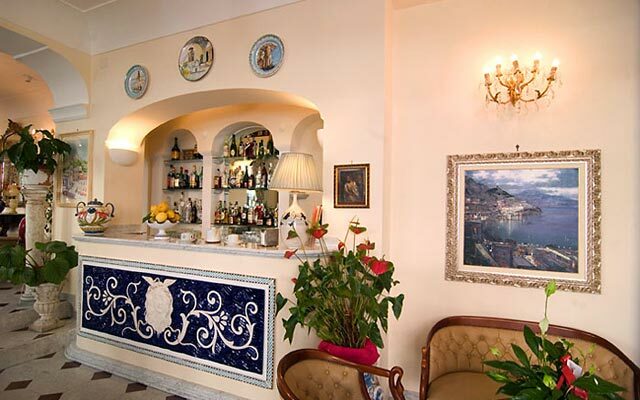 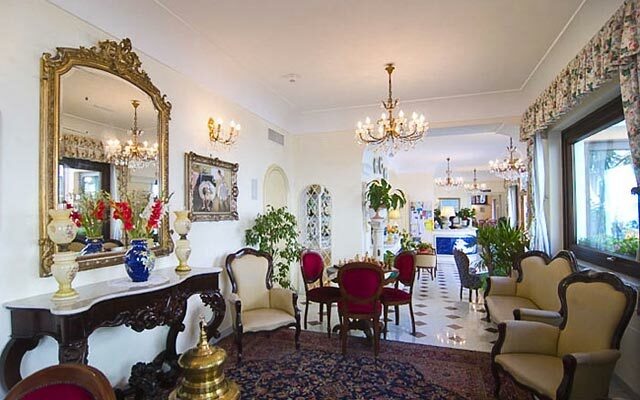 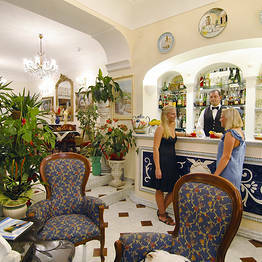 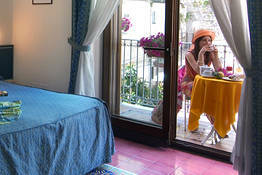 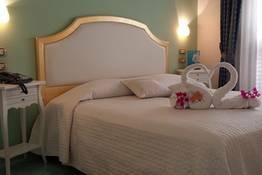 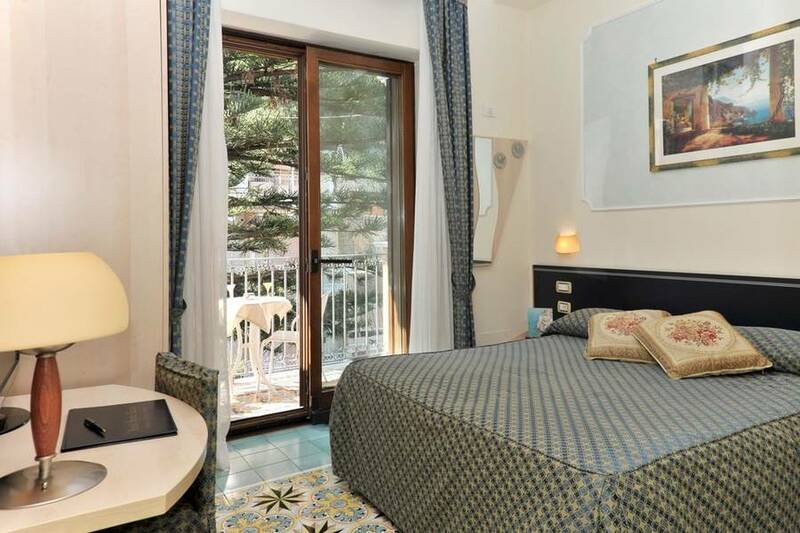 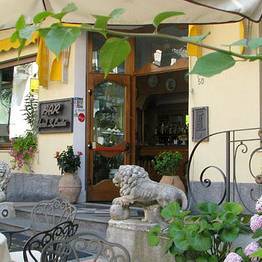 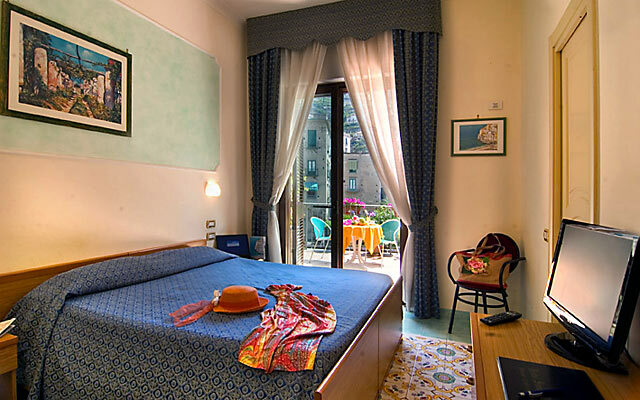 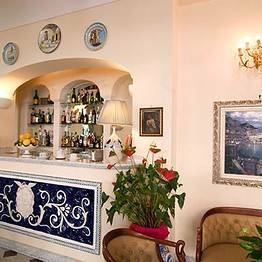 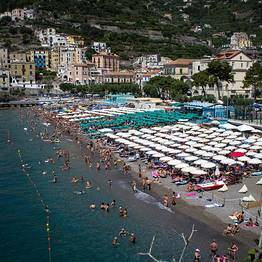 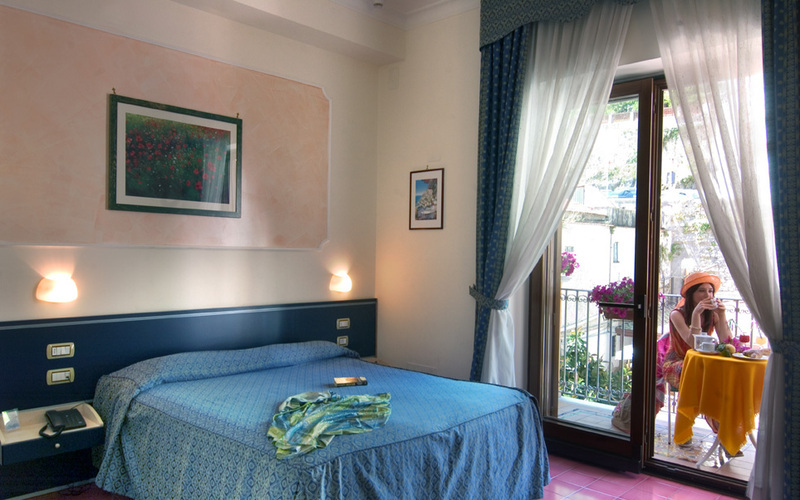 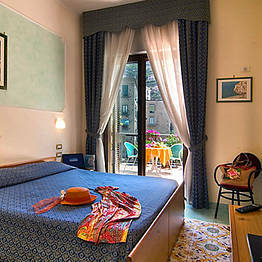 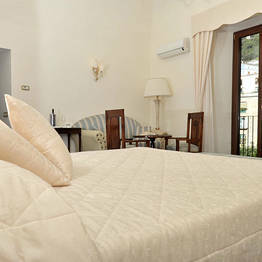 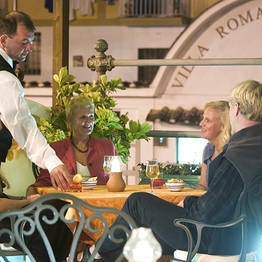 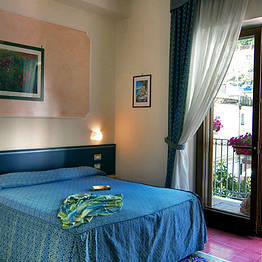 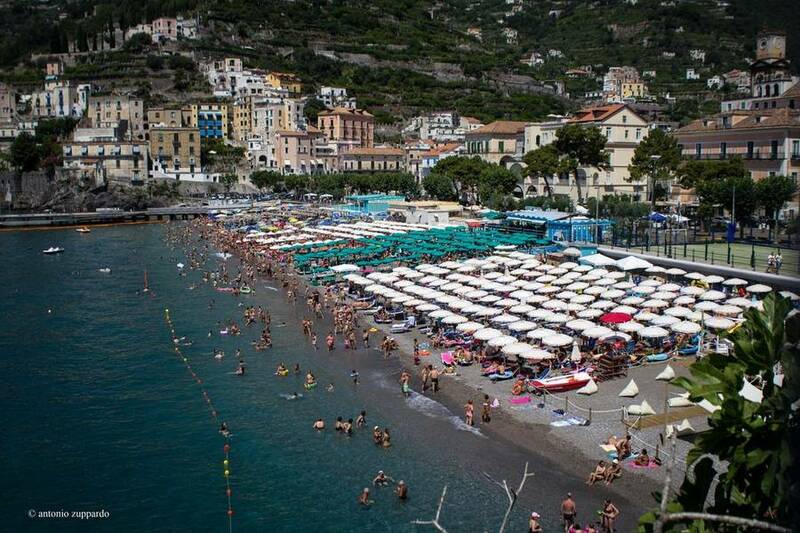 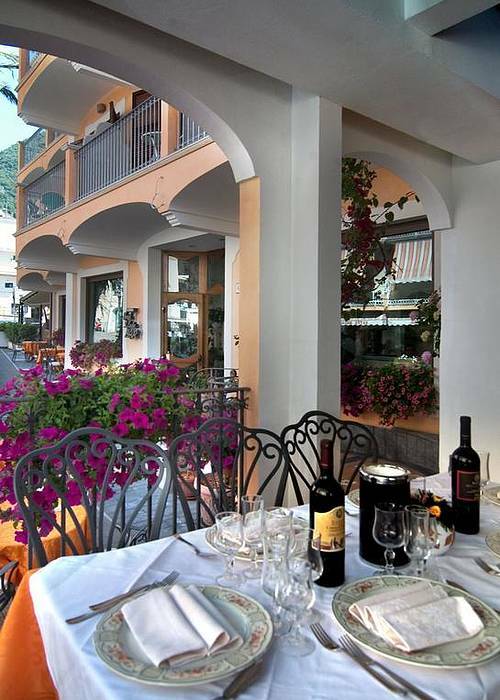 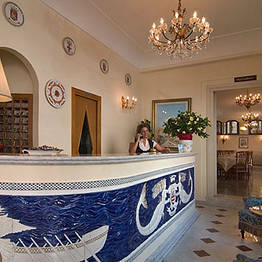 Book Hotel Santa Lucia on Positano.com now with no additional booking fees.